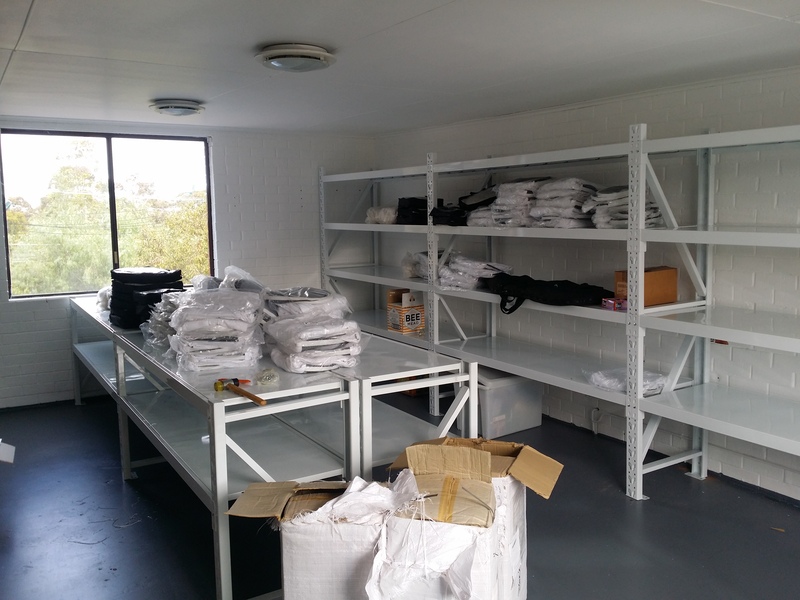 Our shop has been open for a month now and people are slowly realising that there is a beekeeping supplies shop in Mascot Sydney. We made a few hard decisions when working out what to stock in our shop and have decided that we will only stock beekeeping equipment that we would use ourselves. There is a lot of rubbish now making its way into the market that looks the part but when you handle it you realise its not much good, so we guarantee all our products will perform as you would expect. We are also purchasing assembled beekeeping gear from a disability services company so when you buy our assembled frames and boxes you are contributing to a great cause. 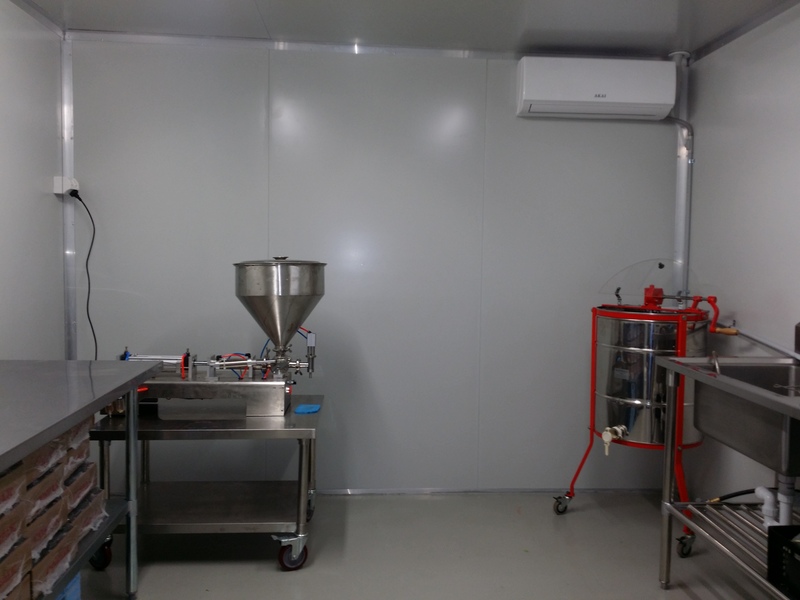 Over at The Urban Beehive we’ve been busy getting our new honey-packing facility ready – and we’ve been building a shop. We aim to provide beekeeping equipment for all styles of beekeeping so will have Warre hives and honey presses for sale along with Langstroth gear and more. We are aiming to stock as much Australian-made gear as is practical. If you register at http://www.theurbanbeehive.com.au we’ll let you know when the shop is open. 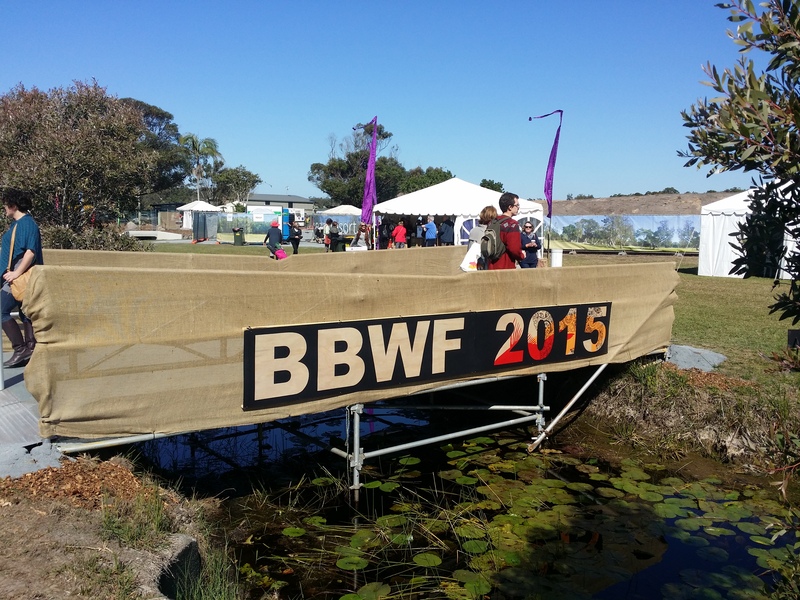 I was lucky enough to be invited to be a panelist at the recent Byron Bay Writers Festival. This four-day event is an amazing gathering of 100 or so authors who speak on panels covering all sorts topics: from politics to fantasy. Inside seven white marquees there were conversations, panels, readings, lectures and book launches all running concurrently. It was a truly inspiring event and one that I’d like to make a regular part of my diary. So I started The Beevangelist blog a few years ago, which I’ve now updated to the version you’re reading now. I’ve uploaded a lot of old posts from my original blog into this one. It’s a timeline of my discovery of beekeeping, documenting lots of the fun and stings I’ve had along the way. Well the days are getting shorter, the daytime temp is starting to drop and the girls are much less active so it looks like our very long season this year is coming to a close. 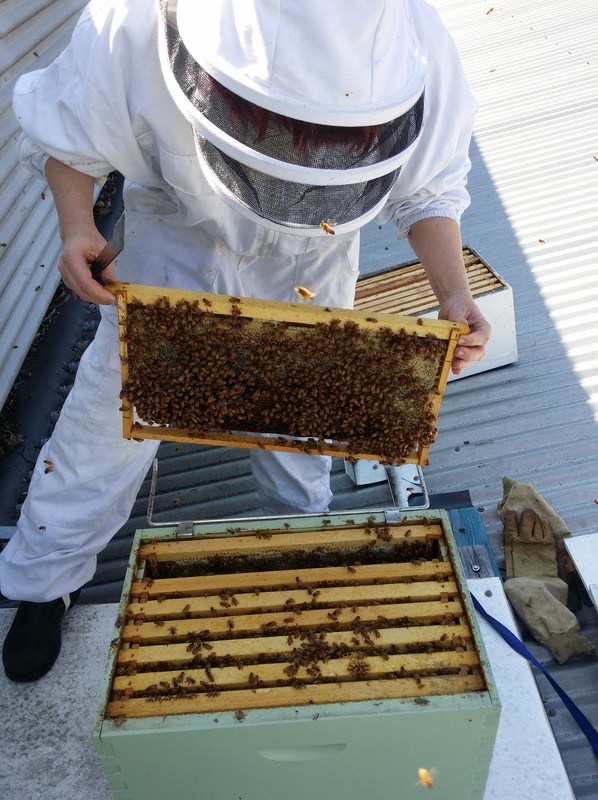 It’s been a huge year of growth with some major new sites including The Botanic Gardens and Centennial Park apiaries to name a few. It looks like Sydney is finally getting the idea of saving bees – today there is much less complaining about bees and more support. We have had a very mixed season with stop-start honey flows, very cranky bees, long hot days (even during winter) and everything flowering out of sequence. Despite that we’ve had a reasonable harvest this year (although my country colleagues have had very poor honey flows and have been resorting to feeding the bees during summer). I have had a very busy year. In 2013 I was approached to write a book on backyard beekeeping and that has taken a huge amount of time but was a very interesting process and hopefully a big help to lots of budding beekeepers out there. So keep an eye out for Backyard Bees by Murdoch Books, released 1st August. Time for me to brew a cup of tea and put my beekeeping feet up for a few months’ rest.